Discussion in 'COMMERCIAL Announcements' started by roalin, Oct 26, 2018. 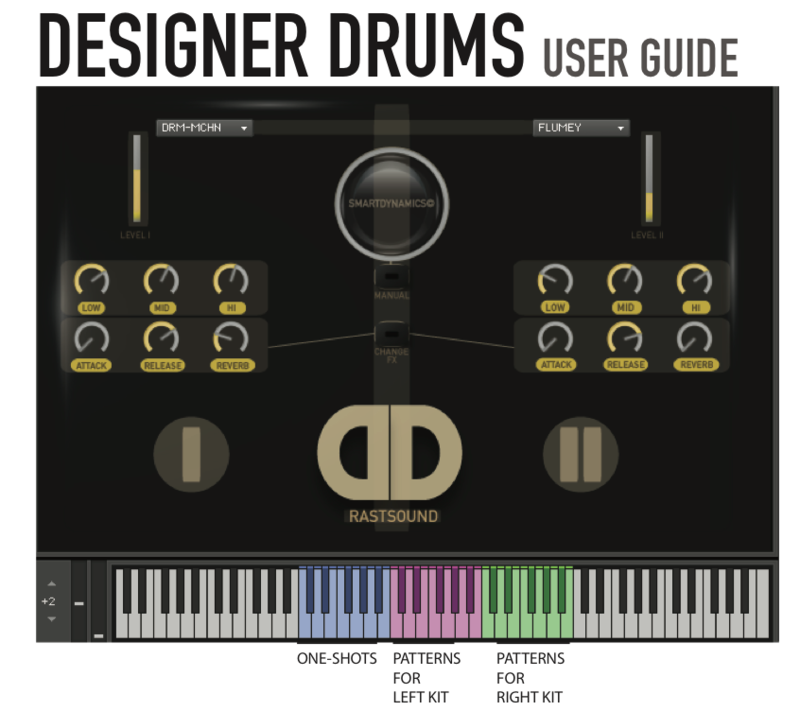 Designer Drums V1.1 released with improvements, new gui and bug fixes. 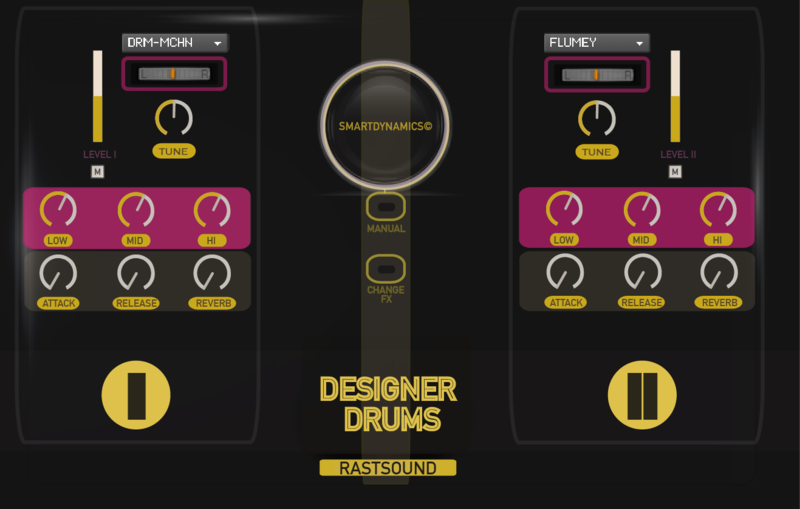 Designer Drums is a versatile and realistic sounding drum tool. One that could be used for any style, one that would result in much better dynamic behaviour when compared to typical velocity-volume systems and one with which creating unique timbres by combining (and cross mixing) different styles of kits is a breeze. Thank you, you can find details, demos and pre-order as of today. Love all your software instruments. Just purchased Designer Drums. Thank you for the Pre-Order discount! hi, sounds excellent as others have said - Can designer drums output transformed midi so we can double with other sounds? Nope, the midi is not transformed (not really possible) in designer drums. It is an audio process that act real time with midi input, not replicable with other sounds (but we are working on something that might do that). Designer Drums (released today) is general midi compatible, the demo is not phrase based but produced with only solo midi input triggering one-shot sounds from Designer Drums. You might get suspicious because of the dual layer which helps morph the sound in the demo but yes you can play any kit solo, use your own midi samples. So there dont seem to be any difference between "Pre-order" and intro.....should have learned by now that meanwhile it is just a common marketing gag it seems....even if I cant really laugh about it. That does not go against you roalin, its just the spirit of the time it seems.....think thats the last time I be caught by that. Dont matter cause I would have bought this gem anyway . Is it released now and delivery running ? Yes your DD is ready on your account from last night, if you are on our list you should have received an email, if not you will receive a system email today. With the price thing, the intro price is slightly higher (you probably looked before price changed). We don't care what others do really, instead spend time building interesting-useful stuff. I must say I like the general idea but think there is great potential for improvement (most needed apart from the pan on first view: have influence on the instrument selection in the different kits !). I would like the possibility too to have both kits playing the same drums (for example a button to "SPLIT" the kits like it is now and one to "MERGE" so that everything has one colour and could be played from both kits, of course then the PAN is needed even more to put one on the left and the other on the right site for example). Have received the email, your questions and requests will be replied there in detail. You can keep on sending your future requests through email (more organised), we add all requests to the pool and will roll updates fast.